Pinterest like any other social media channel has a lot of supporting tools that will help you schedule, optimize or share your posts. If you have read my earlier posts, you know that getting on Pinterest and creating your pins is the first step towards having an active Pinterest account. The next step is the social aspect of it, where you engage and share other pinners pins and build a community around your niche. Hootsuite is a popular scheduling tool and the recent addition to its array is scheduling option for Pinterest. This tool can not only help you schedule your existing pins but also upload new pins and link it to an existing post. Such pinning is useful if you are creating pins for older posts or you are creating multiple pins to a common post. However, as Hootsuite does not take images directly from the link, adding an image separately is a cumbersome task and that might affect the way you use Hootsuite for Pinterest. Another problem is that this is a scheduling tool that will allow you to add your pins, repining ( which is a major part of Pinterest) is not possible directly from Hootsuite. Canva is a simple design tool that can help you create Pin worthy images without any hassles. With a huge repository of free images, elements, illustrations and other design elements canva gives wings to your creativity. Another benefit here is the fact that most of the templates too are designed based on the approved dimensions of posts for various channels. The basic rule with pinterest images is 2:3 . For more detailed size information check out the post creating your first image mentioned above. Pin Groupie is a tool that helps you identify group boards that are aligned to your niche. You might be a mom blogger or a fiction writer, the power of group boards can help push your content in front of maximum audience. Look at it as a repository of group boards more than anything else. Find your niche groups and mail them to be a part of the group. Follow the rules to reap maximum benefits. Tribe works on similar lines as group boards. You can add your pins to the tribe and share others pins as per rules of the groups. As members of Tailwind tribes are usually very active and serious about pinning; your post has a much higher chance of visibility and shares. A detailed post about Tailwind and my experience with it will be shared soon. Till then, do follow my Pinterest account, join my group boards and Tribe. 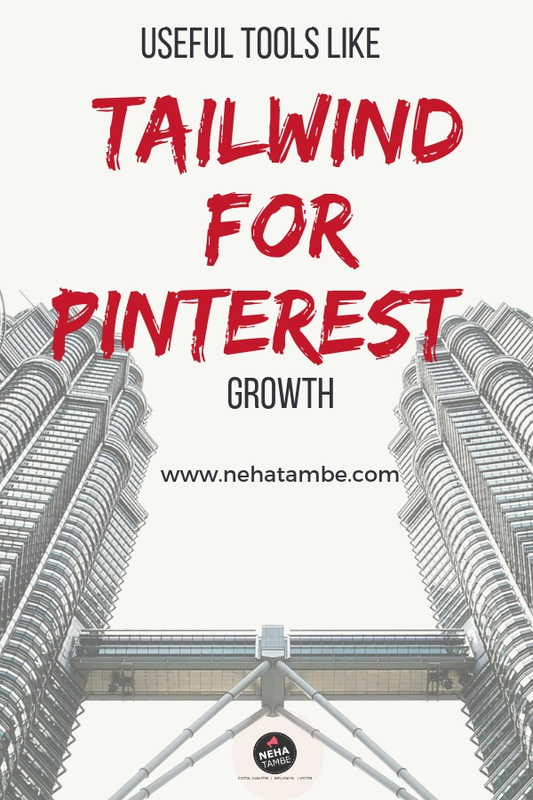 Comment below to let me know your experiences with Tailwind and Pinterest. I didnt know about Tailwind. Quite interesting and features are good too. Thanks for sharing such tips. It will help us a lot. I knew only canva and hootsuite. Would try using tailwind for pins soon. Thanks for sharing this information. I knew about Tailwind but didn’t know much. Your article helps alot. Thank you so much. I have been thinking about using Tailwind for scheduling my pins and give a boost to my Pinterest. Thanks for sharing the links to join Tailwind and your Mom bloggers tribe. Thanks for sharing this. I didn’t know about tailwind much. It will help us a lot ! I’ve used all the above except for Pin Groupie & Hootsuite. And I must say, they’re such a boon! 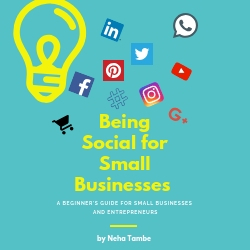 I have been using Canva already. And have been thinking of trying Tailwind. Thanks for the detailed info. I have always been afraid of Pinterest till now. But looks like it’s not as complicated to have a presence there as I assume. Thanks for this wonderful post.